READY TO ORDER? OK, HERE'S WHAT TO DO! We understand that sometimes classes are a little larger than normal and you may need a few extra copies of a book. For this reason we make additional copies available for purchase in increments of five. 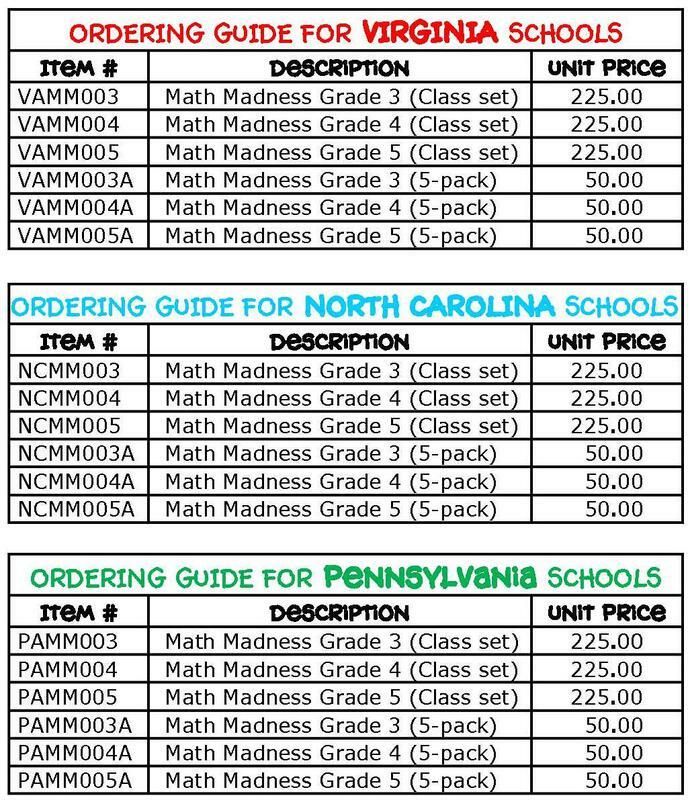 However, these 5-packs cannot be ordered without first ordering at least one class set of the same grade level during the same academic school year. If you're using a school credit card to place your order, simply call Customer Service at 1-877-807-MATH(6284). 15% discount and submit your order. It really is that easy! Department at 1-877-807-MATH if you have any additional questions. * The information below can be used to help create your Purchase Order.